Prokofiev has been dead for some time now, and, unlike Elvis, has stayed away from public appearances since then. But here’s the lovely second movement of the 7th Sonata, alive and well and appearing in a train station in Delft. Another reason to learn to play the piano: you can bring the dead to life. Not his funniest 8 minutes, but the only instance I’ve seen of Borge playing with The Beatles AND the Maharishi in the front row. Just like God and the devil. Here’s a video about how stage hands at Carnegie Hall dealt with Horowitz’ extreme fussiness over where to place his piano on stage. 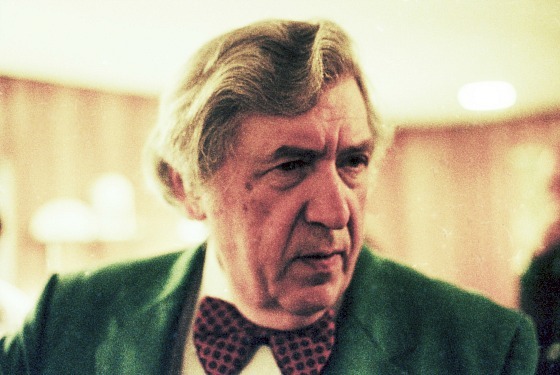 You may remember Gunther Schuller. In his youth, he made a big splash in the classical music world by taking jazz seriously and mixing it with classical idioms. It is hard to remember now, but just a short while ago a classically trained musician couldn’t get much respect if he dabbled in jazz. Schuller did more than dabble. He played with Miles Davis, Dizzy Gillespie, Charles Mingus. He also was president of the New England Conservatory of Music and has had his works played by the Boston Symphony Orchestra, the Chicago Symphony Orchestra and the Berlin Philharmonic. Those are pretty good credentials from both sides of the aisle. Schuller almost single-handedly made Scott Joplin’s ragtime piano music a part of every pianist’s repertoire. Here is a recent story on him in the Dallas Observer. Pianists can easily keep playing into their 90’s and still have something to say. 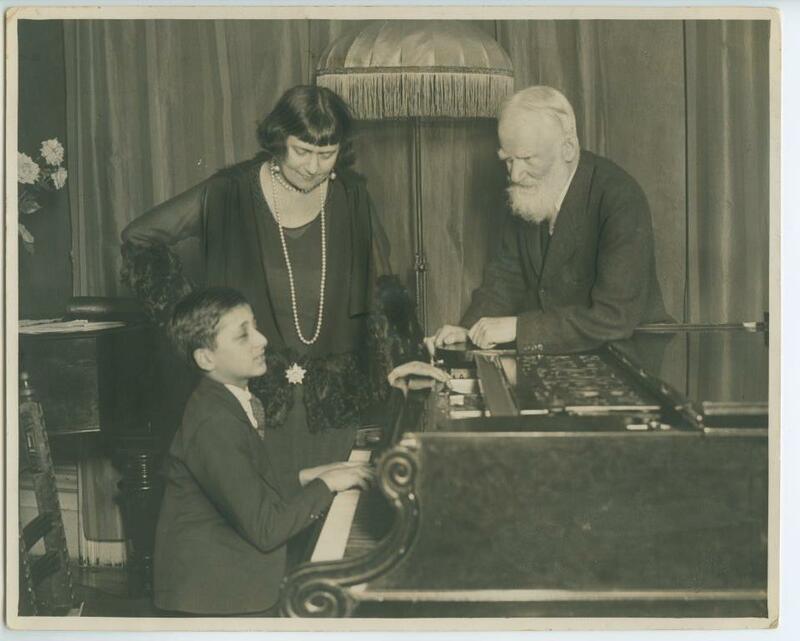 Here is Frank Glazer, a student of Schnabel, which puts him in my lineage from Leschetizky, giving a recital at age 98. He played Nov. 6 in Kalamazoo, Michigan. “Glazer, 98, is a pianist, composer and music professor, who began playing piano when he was 3 years old and now has spent almost 60 years as a professional performer”. You can read the full article on MichiganLive here. A review of an August concert in Wisconsin is here. In other words, he plays concerts all the time. 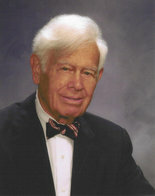 Click here to hear an interview with Glazer on American Public Radio’s “The Story”. Want to have a great old age? Play the piano. 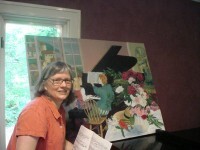 Here I am, with a favorite painting by Leslie Lee. "Megan has a special gift. She inspires (students) to learn to love music and to challenge themselves effortlessly. My kids practice on their own and feel a sense of accomplishment with each piece of music." "Megan is a kid whisperer of music. She is able to coax musical expression into a language that builds directly off a child's physical experience so that music becomes the child's own. When you have that, you can love music for the rest of your life, not just play a song. Big difference! And...the pieces are lovely too." What do pianists do when they aren’t practicing? Shopping for a digital piano?